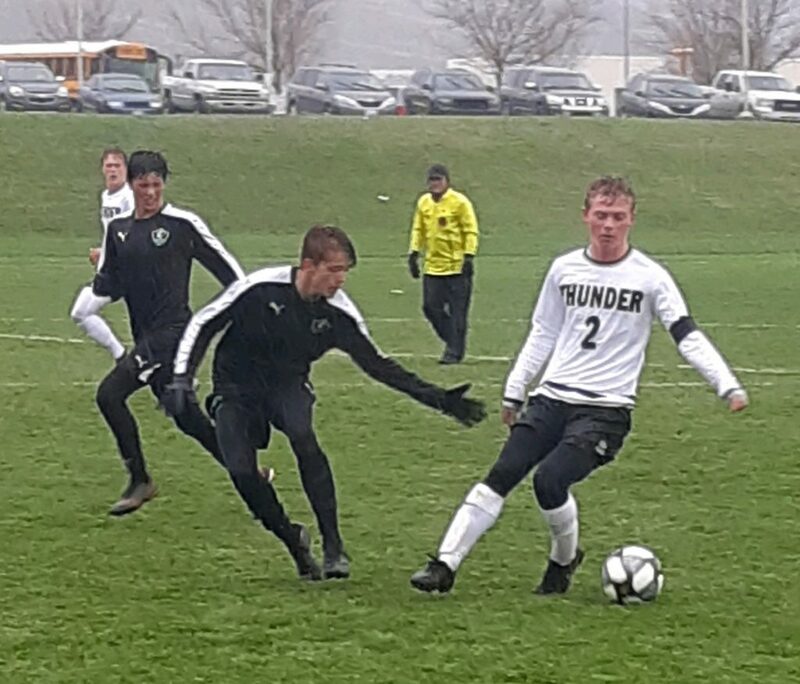 CEDAR CITY — It was a rainy one in Cedar City Tuesday afternoon for the soccer match between Canyon View and Desert Hills. The Thunder stayed on top the entire game and won 5-1. 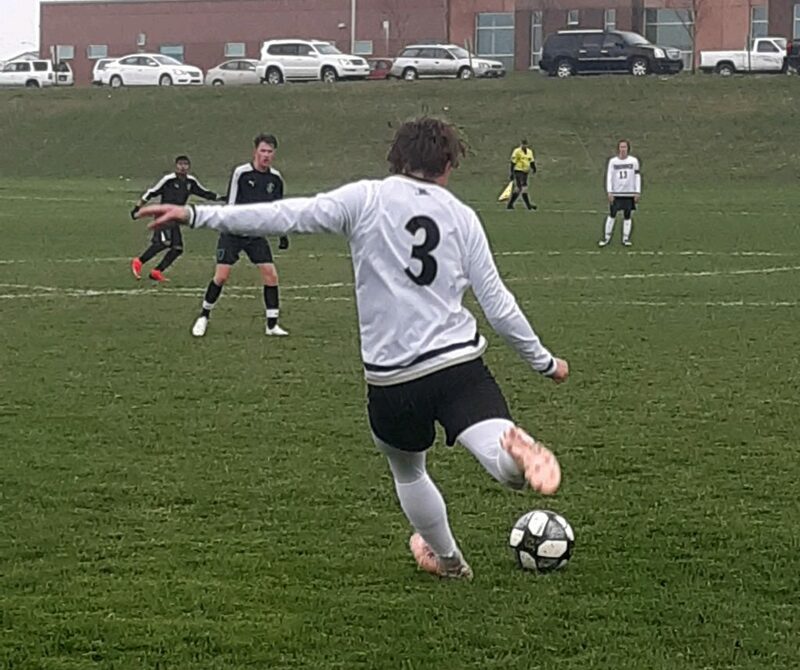 After 20 minutes of play in the first half, Ben Simister kicked the ball from about midfield, and landed the goal to put the Thunder on the board. 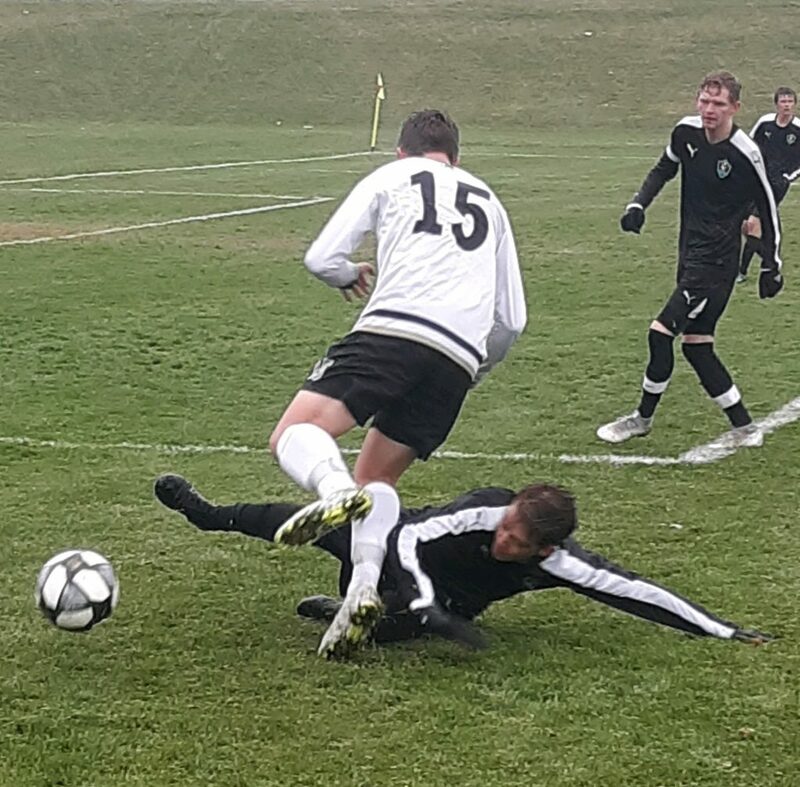 The next goal was scored by Sawyer Heaton, and with just a few minutes before the half, Simister slid in a goal from an out-of-bounds kick, putting Desert Hills ahead 3-0 at halftime. 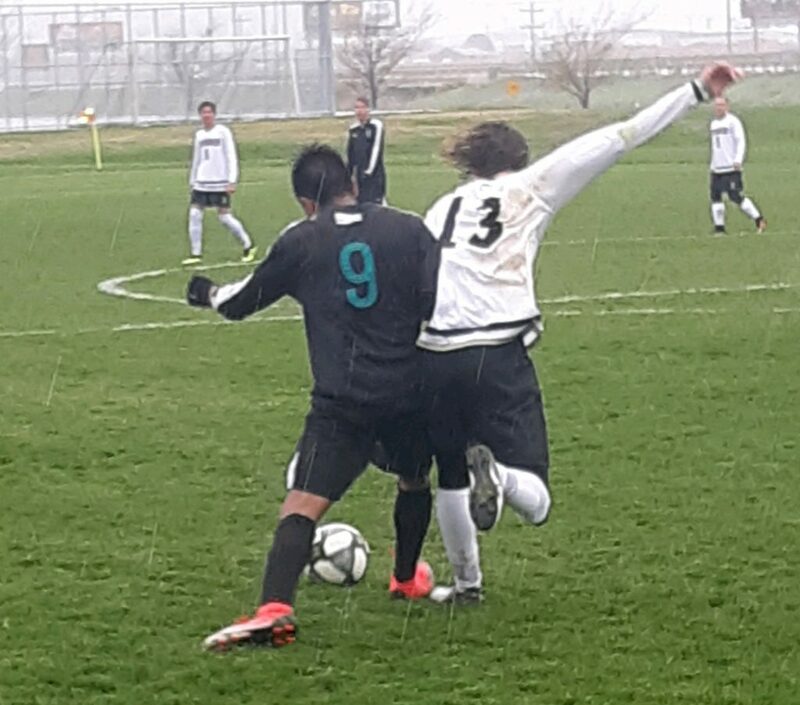 Kai Klingonsmith scored the fourth goal and Will Schroeder added the final goal for Desert Hills. Canyon View was close to scoring multiple times, but was left scoreless until Alex Merdes was able to kick one in with minutes left in the game. Desert Hills keeper Preston Hodges and the Thunder defense made some key plays to hold the Falcons to one goal. Desert Hills still is tied for first place in Region 9 with Dixie, and will play again next Tuesday against Hurricane. Canyon View will play Cedar on Friday at 4 p.m.